A soft sided waterbed offers many of the benefits of a water mattress while still retaining the look and feel of a traditional mattress. Softside waterbeds combine baffled internal water chambers with layers of support material on top. These support layers are often made from latex, memory foam, or biofoam. Water offers unsurpassed support characteristics and makes an excellent core support fluid. When combined with latex and memory foam layers, it offers a nearly ideal sleep environment. 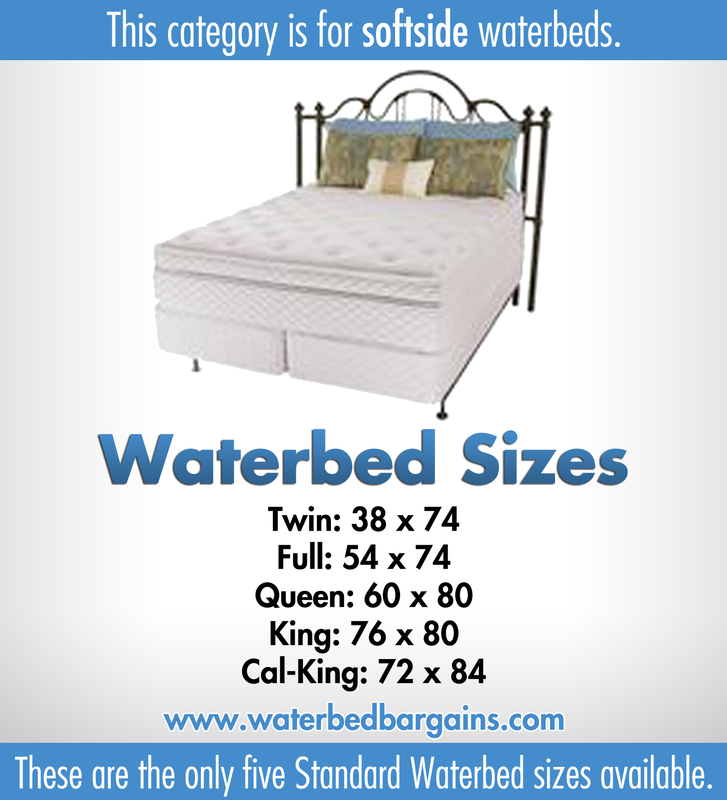 Read more about the difference between a softside and hardside waterbed here.